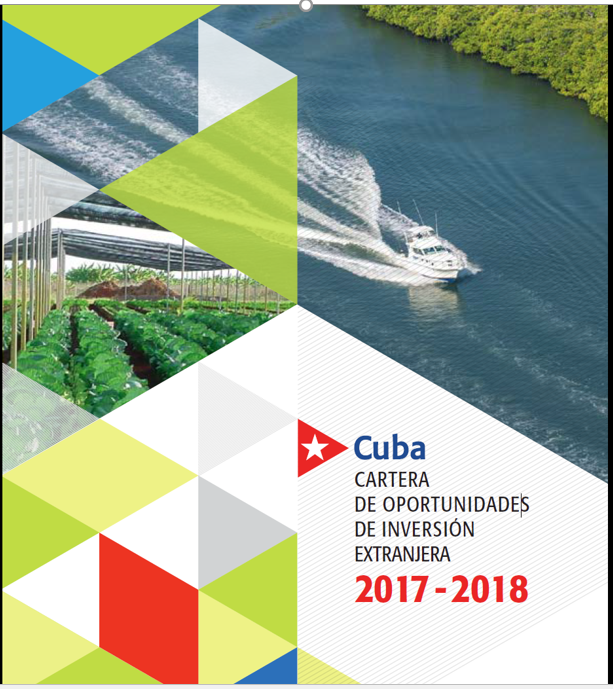 Great opportunities for foreign investors in Cuba! After nationalizing all foreign investment as well as domestic private enterprise – right down to the street vendors and shoe shine boys in the 1960 to 1968 period – Cuba is now courting foreign investors. Here is the current document from MINCEX listing the possiblde investment opportunities for foreign enterprises,. It was sent courtesy of Jose Luis Rodriguez, (former Minister of Economics and Planning, former Director and currently with the CENTRO DE ESTUDIOS SOBRE LA ECONOMIA MUNDIA). 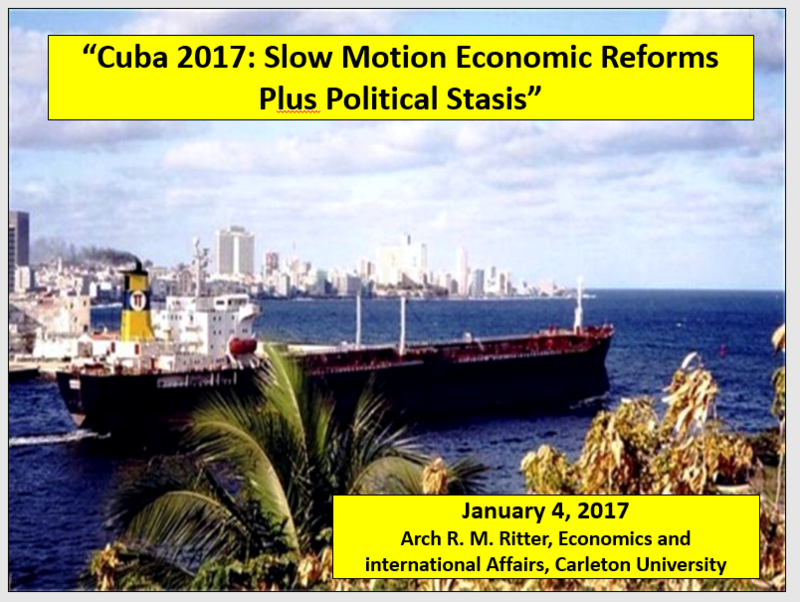 Cuba has experienced a serious “de-industrialization” from which, by mid-2016, it had not recovered. The causes of the collapse are complex and multi-dimensional. The consequences include job and income loss, the loss of an important part of its economic base, the loss of much of the potential for export expansion and diversification, and rust-belt style industrial and urban decay. Can Cuba‘s manufacturing sector recover from this collapse? What can be done to reverse this situation? IV. WHAT MIGHT BE THE SUCCESSFUL MANUFACTURING SUB-SECTORS IN FUTURE? Agglomerative and scale economies are minimal. The potential symbiotic relationship between Cubans on the Island and the Cuban-American community will stimulate the future development of economic activities in many areas, including manufacturing. So, does Cuba have a future in manufacturing? A broad-based industrial revival for Cuba is possible but will be difficult. Horace Clemmons and Saul Berenthal, both 72-year-old retired software engineers, are slated to become the first Americans since 1959 to set up a manufacturing plant in Cuba. Their plan: produce small, easily maintained tractors for use by family farmers. Under new regulations issued by the Obama administration, the U.S. Treasury Department’s Office of Foreign Assets Control gave the Paint Rock, AL-based partners the go-ahead last week. Once they get final approval from the Cubans, they anticipate that in early 2017, they’ll start building a factory in a special economic zone set up by the Cuban government in the port city of Mariel. In this condensed and edited interview, Berenthal describes his transition from software entrepreneur to Cuban manufacturing pioneer. Susan Adams: Tell me about your personal connection to Cuba. Saul Berenthal: I was born and raised in Cuba. I came to the U.S. in 1960 right after the revolution. First I came and then my parents. My family in Cuba is in the cemetery. But I have lots of friends there and I’ve been traveling back and forth since 2007. Adams: How did you get the idea to build tractors? Berenthal: I understood the needs of the Cuban economy. Cuba has to import more than 70% of what people eat. They’re still using oxen to farm the land. Our motivation really is to help the Cuban farmer be more productive. Adams: But you and Mr. Clemmons are software engineers. How did you know the first thing about farm equipment? Berenthal: Horace was born and raised on a farm in Alabama. He’s the farming expert and I’m the Cuba expert. Adams: Just because he was raised on a farm wouldn’t mean he would know how to make tractors. Berenthal: We hired an engineering company in Alabama that helped us pick up an existing design that was appropriate for what we wanted to do. We brought in state-of-the-art technology and produced the tractors. 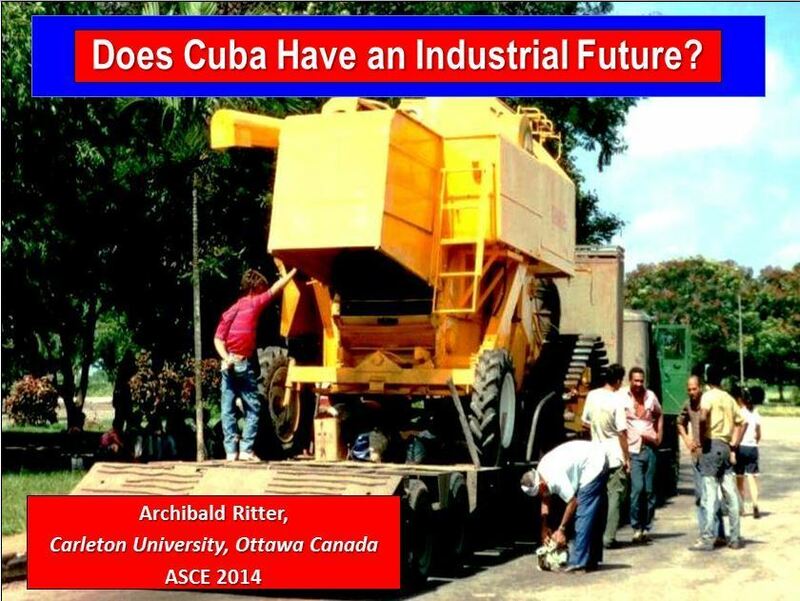 We have a tractor in Cuba already that’s going to be shown at an agricultural fair in March. Adams: It sounds like you were motivated less by profit than by a desire to help the Cuban economy and Cuban-American relations. Berenthal: Yes, our motivation is really to help Cuban farmers be more productive. Through commerce and trade, we can bring Cuban and American people closer together. Adams: What about making money? Berenthal: Our business model says we are investing in Cuba and reinvesting any profits we make. We’ll do what we did with our other businesses. We’ll create value and then sell the company. Adams: What profit margins do you project for your tractors? Berenthal: We’re aiming for 20%. Adams: How many tractors do you need to sell before you’re profitable? Berenthal: We believe we’ll sell 300 tractors in the first year and then we’ll ramp up to 5,000. That includes other light equipment we’ll sell for construction as well. The facility will have the capacity to produce up to 1,000 tractors a year. I think the profitability will come after the first or second year when we start to do production and not just assembly in Cuba. 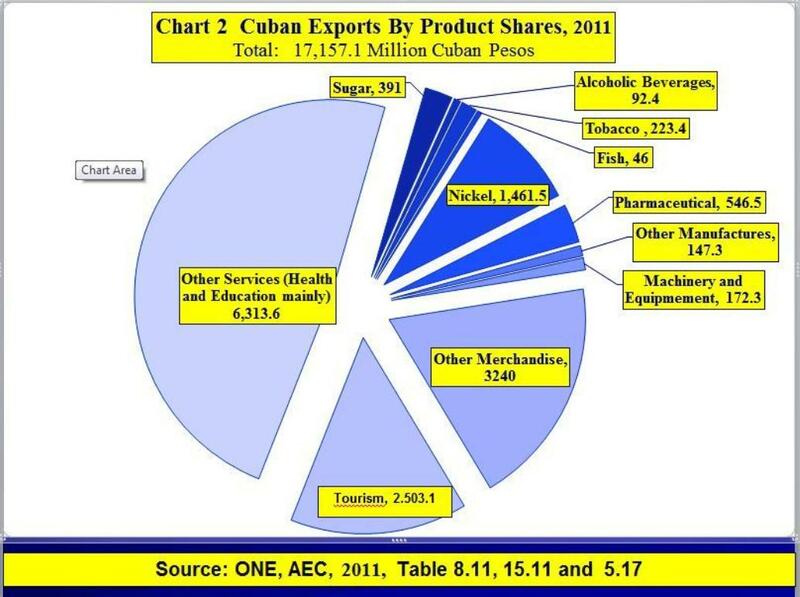 Adams: But Cuba is plagued by shortages of the most basic products. How will you get tractor parts? Berenthal: They’re all going to be sourced and shipped from the U.S. The current state of the embargo makes it so we can’t buy parts there. But we think that within the next three years the embargo will be lifted and we’ll be able to source from Cuba, if not sooner. Adams: Your factory will be in a special economic zone? Berenthal: It’s called ZED, for Zona Especial de Mariel. It’s built around one of Cuba’s biggest ports and it has a whole bunch of sections dedicated to foreign investment. They provide for a bunch of tax and investment incentives. We’re also taking advantage of Cuba’s commercial treaties with the rest of Latin America, where we’ll be able to ship and provide better pricing than for tractors built in the U.S.
Adams: What kind of tax incentive is Cuba offering? Berenthal: For the first 10 years we don’t pay any taxes. Adams: How many local people will you employ? Berenthal: We’ll start with five and ramp up to 30 within the first year and then probably go up to 300. Adams: You want to sell the tractors for $8,000-$10,000. How can a Cuban farmer with an ox possibly afford that? Berenthal: There are a couple of ways. There is financing by the Cuban government and by third countries like Spain, France and the Netherlands. We also count on Cuban-Americans who live in the U.S. who have relatives and friends that run farms. We think they would be happy to contribute to Cubans owning a tractor. We’re also counting on NGOs that help Cuban farmers, like religious groups. Adams: How much is your initial investment? Berenthal: We project a $5 million investment and then it will go up to $10 million. Adams: Where are you getting the money? Berenthal: It’s private money. We have a couple of investors but we have also sold a couple of companies. Adams: What did you find when you went to Cuba? Berenthal: I started meeting with people and I had a lot of contacts in the economics department at the University of Havana. 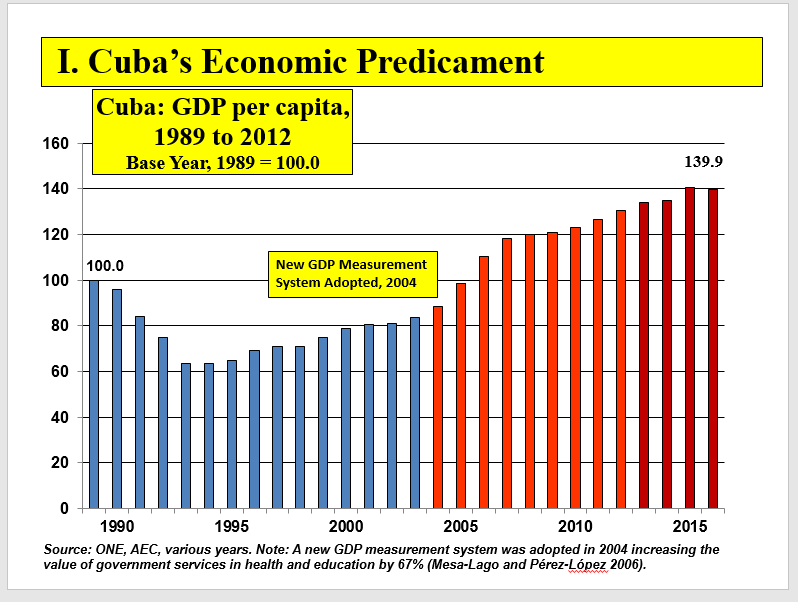 I learned what the Cuban government was proposing to do about readjusting the economy. 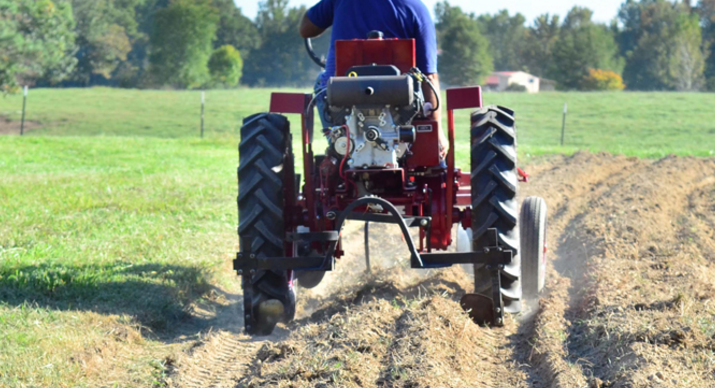 In 2014, when the opportunity for trade arose, we decided to pursue farming and tractors. Adams: How difficult was it to get U.S. government approval? Berenthal: In all honesty it was tedious rather than difficult. We had to wait for the regulations to change so that the proposal we made was covered by the regulations implemented over the last nine months. Adams: Were you competing with other U.S. companies? Berenthal: We certainly believe we’re going to compete with the Chinese and Byelorussians, who are the current suppliers of tractors to the Cuban government. Adams: Where did you get the names for your company, Cleber, and product, Oggun. Berenthal: Cleber is from our names, Clemmons and Berenthal. It’s clever! Oggun is the name of the deity for iron in the Santeria religion. Santeria is the most popular religion in Cuba. It’s a mixture of Catholic and African religions. Adams: Do you practice Santeria? 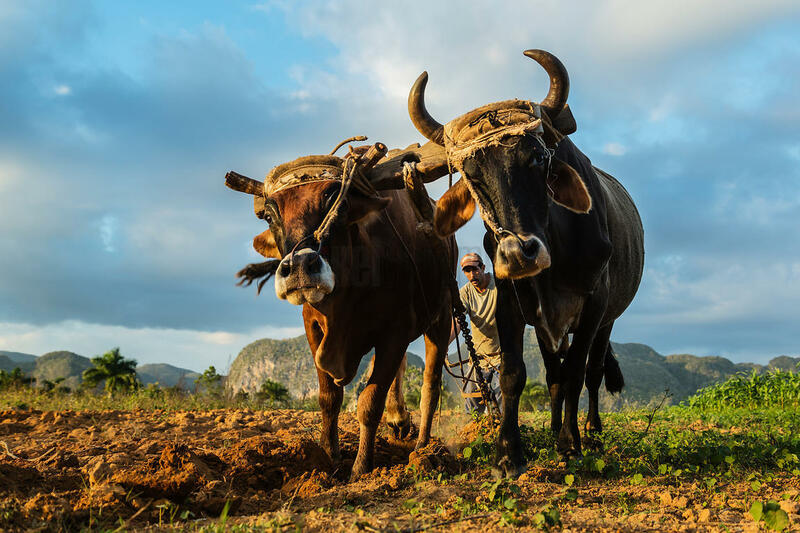 The U.S. Treasury Department last week notified partners Horace Clemmons and Saul Berenthal that they can legally build tractors and other heavy equipment in a special economic zone started by the Cuban government to attract foreign investment. The $5-million (U.S.) to $10-million plant would be the first significant U.S. business investment on Cuban soil since Fidel Castro took power in 1959 and nationalized billions of dollars of U.S. corporate and private property. That confiscation provoked a U.S. embargo on Cuba that prohibited virtually all forms of commerce and fined non-U.S. companies millions of dollars for doing business with the island country. Since then, Mr. Obama has been carving exceptions into the embargo through a series of executive actions, and his administration now says they allow U.S. manufacturing at the Mariel port and special economic zone about 48 kilometres west of Havana. One exception allows U.S. companies to export products that benefit private and co-operative farmers in Cuba. Mr. Berenthal and Mr. Clemmons say they will sell only to the private sector. The Obama administration says it is eager to make the opening with Cuba irreversible by any future administration. Since the start of the year, the United States and Cuba have made a series of announcements that appear designed partly to create a sense of unstoppable momentum in their new relationship. Cuba announced late last month that it would more than double the number of public WiFi access spots to more than 100 across the country this year and bring broadband Internet to a small number of Cuban homes, where it is currently illegal. Mr. Obama said in 2014 that Mr. Castro had promised to increase Cubans’ access to the Internet as part of détente. On Saturday, Cuba announced it had returned a U.S. Hellfire missile it said was mistakenly shipped to Havana from Paris in 2014. On Tuesday, Cuba’s Transport Minister and the U.S. Secretary of Transportation will sign a deal authorizing the first regularly scheduled commercial flights between the United States and Cuba since shortly after the 1959 revolution. The Oggun tractor plant, named after a god in Cuba’s syncretic Santeria religion, will assemble commercially available components into a durable and easy-to-maintain 25-horsepower tractor selling for less than $10,000, Mr. Clemmons and Mr. Berenthal said. 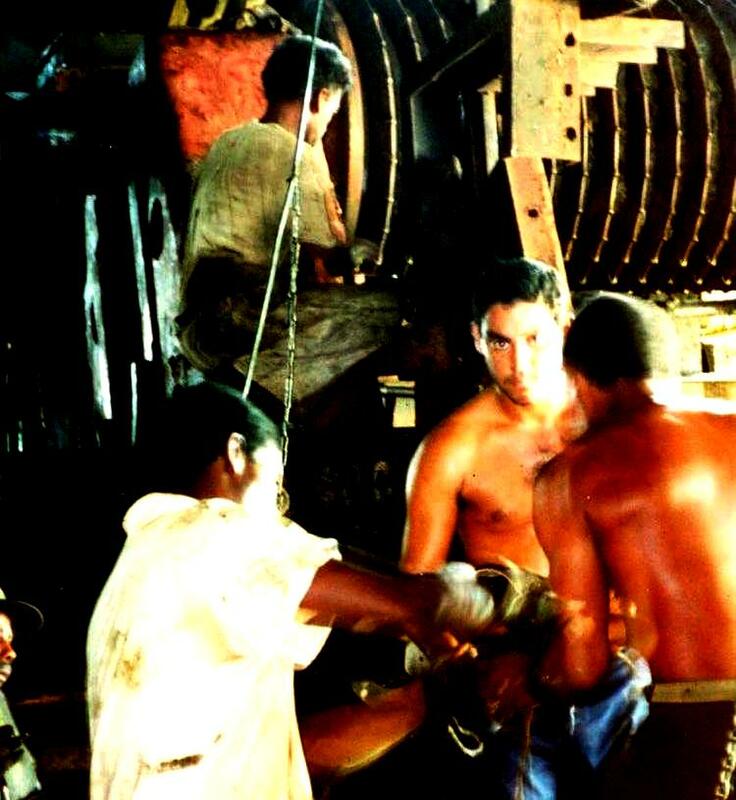 The men believe they can sell hundreds of the tractors a year to Cuban farmers with financing from relatives outside the country and to non-government organizations seeking to help improve Cuban agriculture, which suffers from low productivity due mostly to excessive control of both basic supplies and prices by an inefficient, centrally planned state bureaucracy. “I have two countries that for 60 years have been in the worst of terms, anything I can do to bring to the two countries and the two people together is tremendously satisfying,” said Mr. Berenthal, a Cuban-born semi-retired software engineer who left the country at age 16. Between their own capital and commitments from private investors, they say they have enough cash in hand to build the Oggun factory as soon as Cuba lets them proceed. “Everything’s locked in,” Mr. Clemmons said. Mr. Berenthal said they are optimistic they will also be able to export Oggun tractors to other Latin American countries, which have low or no tariffs on Cuba products, making them competitive on price. The men expect a 10-per-cent to 20-per-cent profit on each tractor. For the project’s first three years, Mr. Clemmons and Mr. Berenthal say they will export components from the United States for assembly in Cuba. They hope to eventually begin manufacturing many of the parts themselves on the island. They said they expect to start with 30 Cuban employees and, if things go as planned, grow within five years to as many as 300. Mr. Clemmons and Mr. Berenthal will publish all the schematics of their tractors online to allow Cubans and other clients to more easily repair their equipment and come up with designs for other heavy equipment based on the same frame and motor that the company, Cleber, can then produce at its Mariel factory. The men already have plans to produce excavators, backhoes, trench diggers and forklifts, equipment badly needed across Cuba, where virtually all the infrastructure is crumbling after years of neglect and mismanagement and a lack of cash the government blames on the embargo. “I think it’ll have a tremendous impact on their ability not only to help their economy but to set an example across the Caribbean and Latin America,” Mr. Berenthal said. 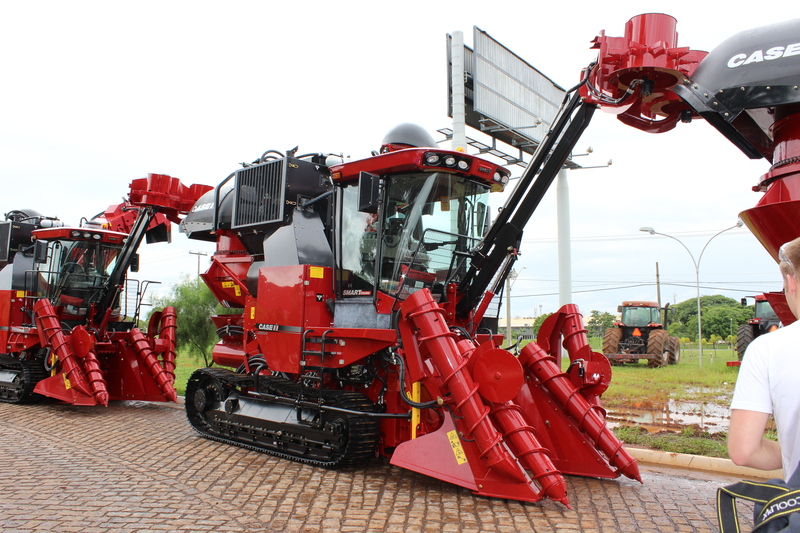 Case – International Harvester sugar cane harvester, made in Brazil. The next step for Cuban agricultural machinery assembly? 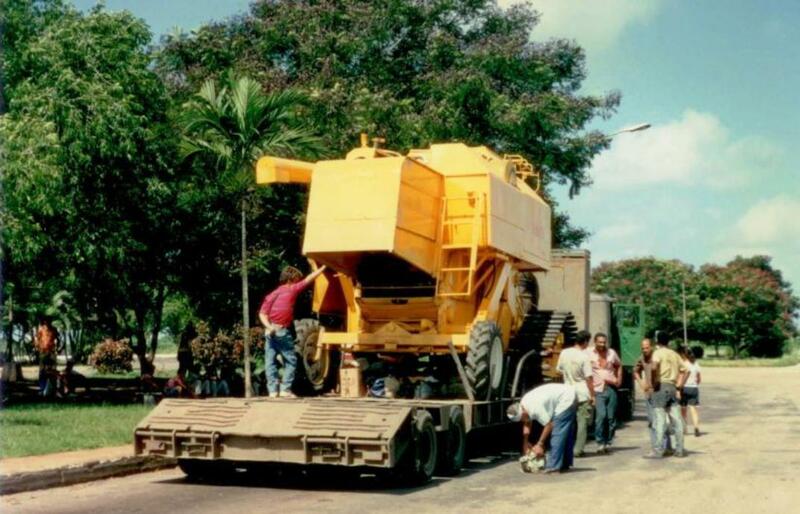 Cuban-manufactured Sugar Cane Harvester Pausing on the Highway, November 1994. Was this the last Cuban-made cane harvester?Photo by Arch Ritter. The CENTRO DE ESTUDIOS DE LA ECONOMIA CUBANA has recently redone its web site. It has also published the Power Point presentations from its 2013 Seminar. Here is a list of the presentaions, hyper-linked on the author’s name. Juan Triana Cordoví, Cuba:un balance de la transformación. Yailenis Mulet Concepción y Alejandro Louro, Las reformas económicas en los territories cubanos. Reflexiones para el diseño de políticas. Effective competition from Chinese manufactures imports, stimulated further by China’s undervalued exchange rate and Cuba’s over-valued exchange rate. 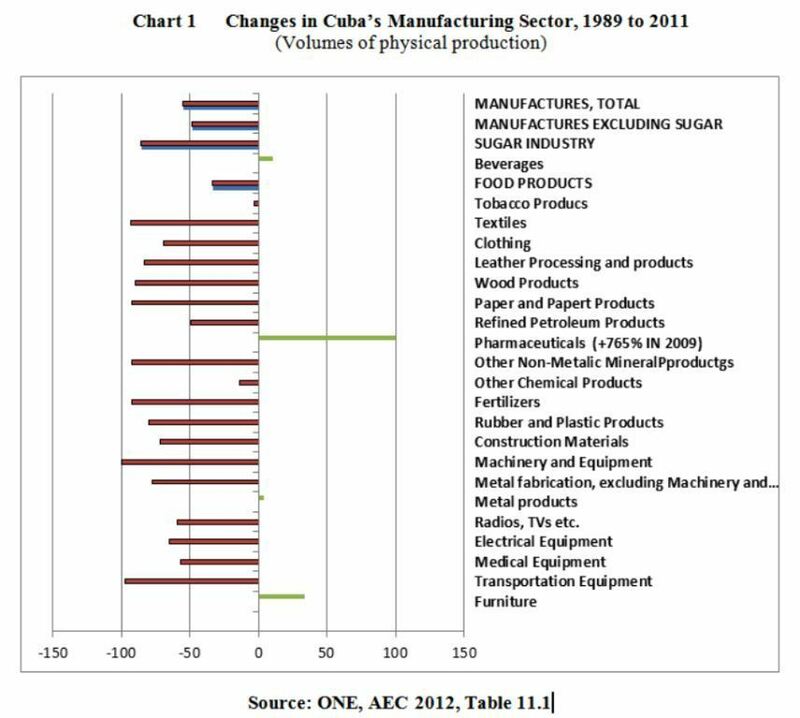 The accompanying chart illustrates the changes that have occurred Cuban manufacturing and some of its subsectors. 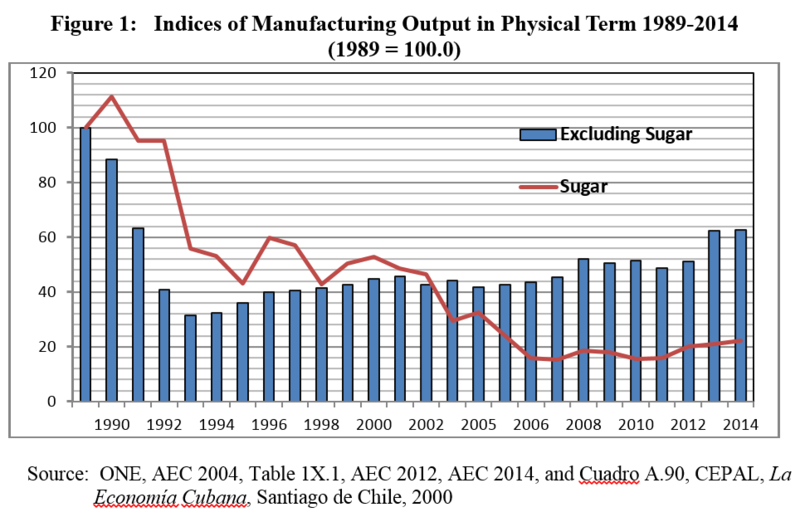 Total manufacturing output excluding sugar in 2011 was 48.8% below the level of 1989 in terms of physical volumes. 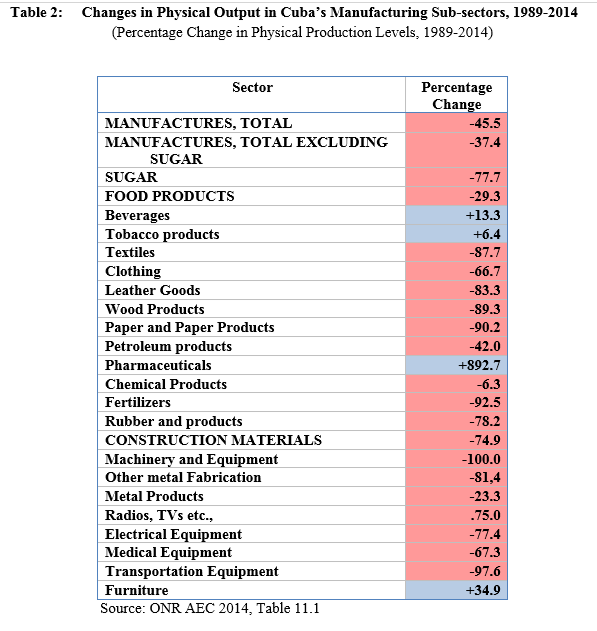 Many sectors experienced reductions in the 50% to 99% range. The exceptional success was pharmaceutical production which increased by 765% from 1989 to 2009, albeit from a low base. What are the longer term consequences of “de-industrialization”? Is it likely that the policy proposals of the Lineamientos approved at the VI Congress of the Communist Party of Cuba will lead to a recovery from this collapse? What can be done to reverse this situation? 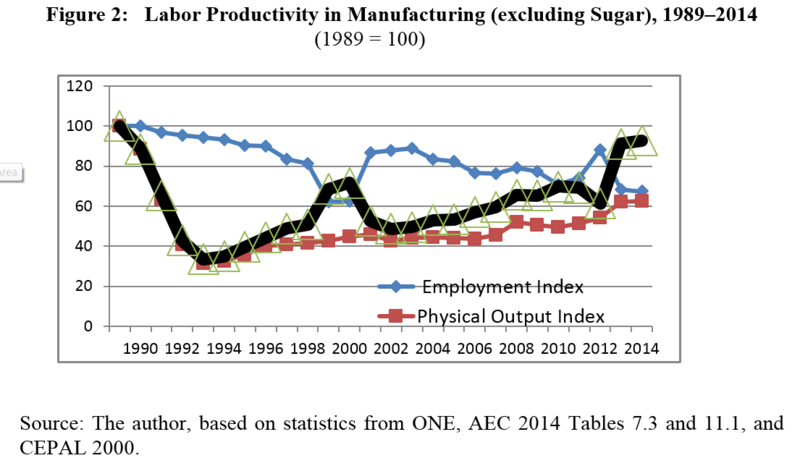 Second, labor productivity in manufacturing has fallen. The volume of output has diminished more rapidly than employment. 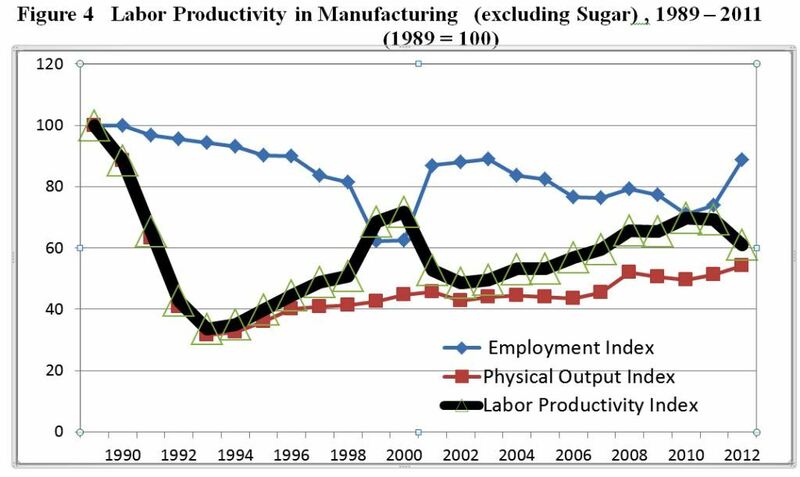 The 2009 level of output in the manufacturing sector (including sugar) was 44.9% of the 1989 level (a decline of 55.1%) but employment declined by 32,6%. This means that labor productivity in manufacturing has also probably declined from 1989 to 2009, though this cannot be known for sure without knowing the values as well as the volumes of production in these years. Third, the importation of manufactures has risen sharply. Virtually all the shoes, clothing, textiles, household gadgetry and a lot of furniture are now imported. Indeed, one can purchase most plumbing supplies, electrical materials, dishes, pots and pans, household gadgetry and furnishings only for “Convertible Pesos” rather than the Moneda Nacional that people actually earn. Paradoxically, visits to the various Tiendas por la Recaudacion de Divisas (TRDs or former dollar stores) which are the main source of household equipment and gadgetry, furnishings, clothing, foot-ware, plumbing materials, electrical items etc. is similar in one sense to visits to the major Big Box stores such as Walmart or Target in that the vast majority of the items for sale are imported from China. Walmart, Home Depot, Target and their ilk, make their mammoth purchases from China for all their stores in the country, obtaining massive economies of scale and quantity discounts. Has the China-Walmart Alliance helped to de-industrialized the United States? One wonders if the procurement patterns for the large state store chains in Cuba are not unlike those of Walmart, pictured below. Does CIMEX, the major retailing conglomerate in Cuba make its purchases in the same way, providing for all its outlets in Cuba with single orders? 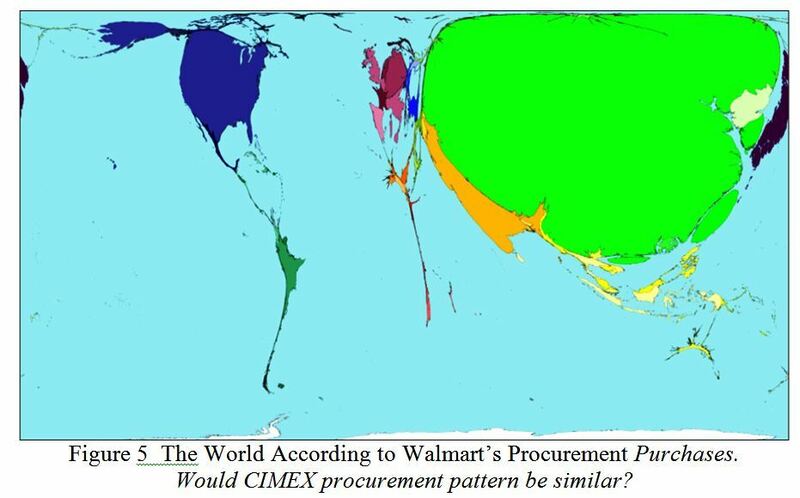 Is a CIMEX-China Alliance in Cuba echoing the China-Walmart Alliance in the United States and having similar results in avoiding smaller scale procurement purchases from Cuba or other countries? 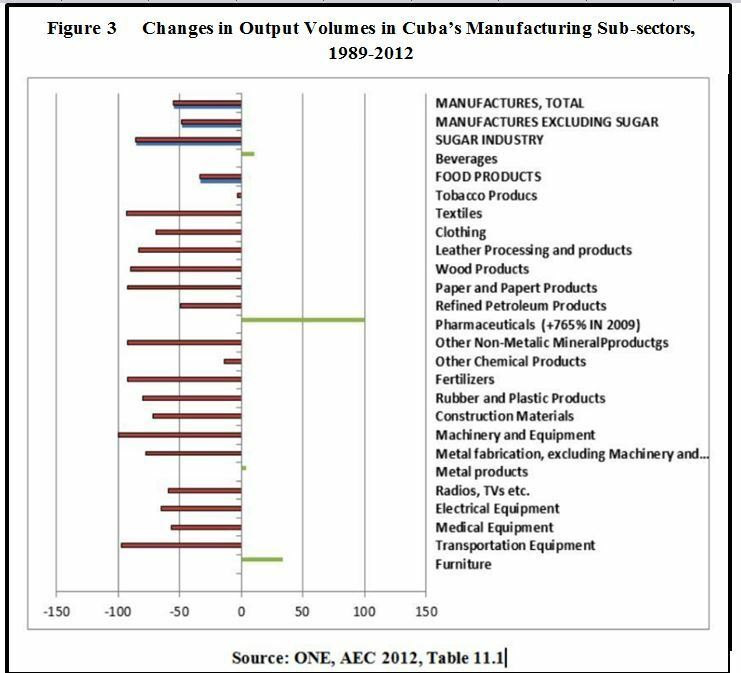 A fourth result of Cuba’s de-industrialization is that it has lost much of the foundation on which diversified manufacturing activities could be developed in future. 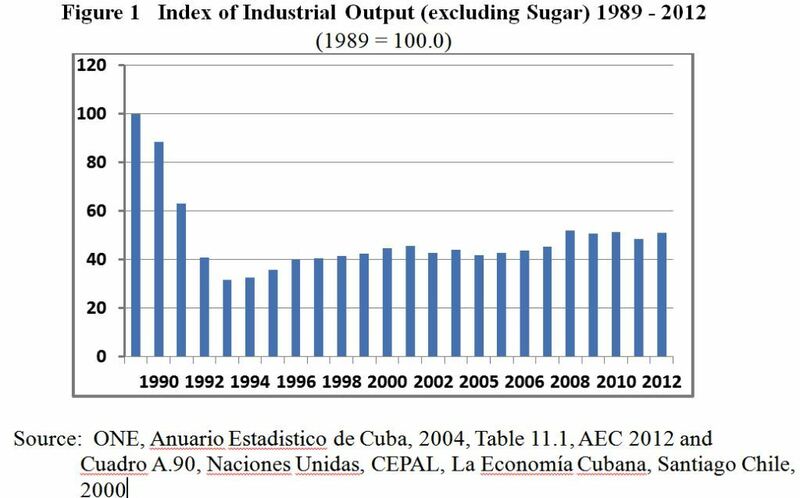 For example, Cuba has essentially lost the “clusters” of economic activities that once surrounded the sugar sector specifically and agriculture generally producing inputs and processing outputs. Parts of the sugar-related manufacturing sector have largely shut down – notably the manufacture of cane harvesters and agricultural machinery and equipment as well as the production of replacement parts for the sugar mills. As illustrated in Chart 1, the production of machinery and equipment is at 0.4% of the 1989 level while that for metal fabrication is at 32.8%. This situation prevails in many other areas of manufacturing as well. A glance at the Chart indicates the magnitudes of the collapse. Fifth, the potential for the emergence of manufacturing for export markets has been impaired. It will be difficult to reconstruct the manufacturing activities for which Cuba might have been able to develop some comparative advantages. II. THE “LINEAMIENTOS” ON THE MANUFACTURING SECTOR. the rationalization and restructuring of industrial capacity, including the sales, rental or usufruct of unused facilities to the self-employed (219). Some specific industrial sectors are slated for emphasis, including pharmaceuticals (221(, nickel (224), natural medicines and dietary supplements (222) , information technology and electronics for export (226), fertilizers (230), rubber tires (231), construction materials (233), and metallurgy and machinery and equipment (234 236 and 237). Some of these seem reasonable and may have important roles to play in future manufacturing. Elsewhere in the “Lineamientos” exchange rate and pricing considerations are mentioned, with the stated intention to move to a unified and realistic exchange rate but with no implementation as of September 2013. Liberalizing small enterprise and promoting larger co-operative forms of organization are now in process of implementation. For these two sectors, pricing is for the most part to be determined by the forces of supply and demand. This may be an important step in permitting the emergence of new innovative enterprises. However, the continuing limits on size and professional activities impede the evolution of a diversified range of medium scale enterprise in higher tech manufacturing and related services. If indeed the proposals of the “Lineamientos” were implemented fully and quickly, one could envisage the possibility of a turn-around for the manufacturing sector. So far, however, reforms in these areas have been cautious limited and slow. What might be the successful manufacturing sub-sectors in future? This section briefly considers some possibilities. It is of course hard if not impossible to “pick the winners” in advance. 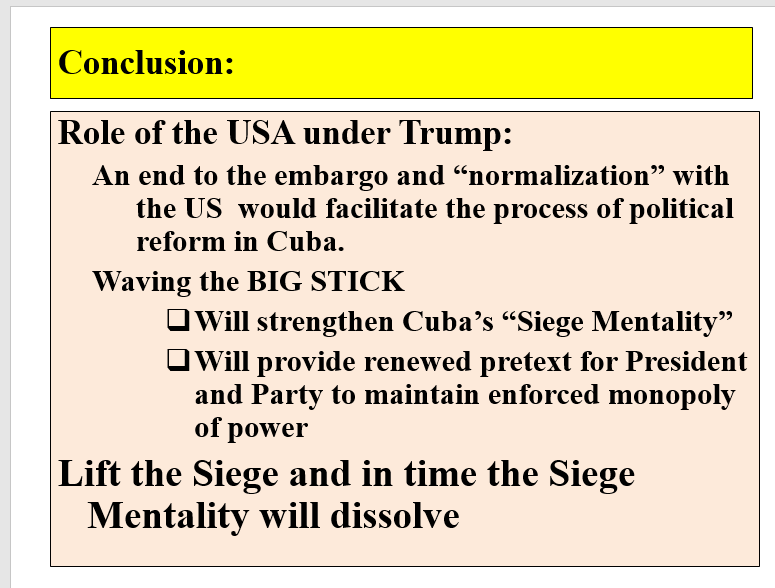 The most efficacious general approach for Cuba would be to establish a reasonable policy and institutional framework and let the winners emerge over time. This would include such policies as unifying the monetary and exchange rate systems, liberalizing small and medium enterprise further, establishing a secure property rights system, consolidating the framework for the impartial rule of law towards enterprises, and a fair taxation system for Cuban-owned private sector enterprises, etc. (See The Tax Regimen for the Mariel Export Processing Zone.regarding the unfairness of the tax system as regards Cuban-owned micro-enterprises.) Cuba is in the process of implementation in some of these areas though it still has a distance to go. However, assuming that Cuba does establish an “enabling environment” for the emergence of a manufacturing sector, what might be the manufacturing opportunities for Cuba? This section tries to make a first sketch of Cuba’s main manufacturing sub-sectors and their future potential. A. Traditional Agro-Industries: Sugar, Tobacco and Rum. 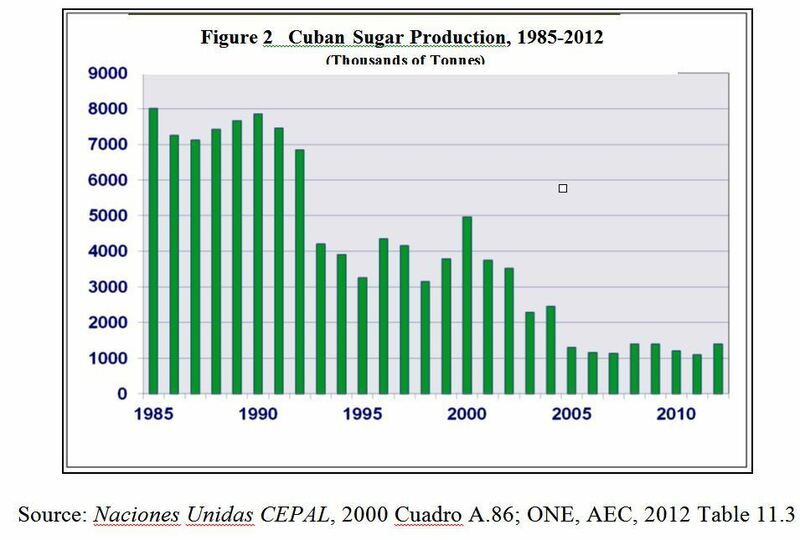 The volumes of output in the sugar agro-industrial sector fell from 7 to 8 million metric tons of sugar per year in the 1980s to 1.8 million for the 2013 harvest. Perhaps the sector, focusing also on bio-fuels, can be reconstructed although now this would have to be almost from the ground up. Foreign – that is, Brazilian – technology, investible resources, managerial talent and entrepreneurship would be vital in this endeavor. But the old dysfunctional state enterprise model seems so entrenched that only successful implementation of dramatic institutional change as well as massive investment can bring it about. Cuba has a major comparative advantage in cigars and a thriving agricultural and manufacturing base for future expansion. Market prospects are mixed but modestly positive on balance. The market for cigars in the high income countries may weaken in future as the baby boomers age further and become more concerned about their health. The cigar fad of the 1990s is unlikely to return in those countries with the same intensity. On the other hand, cigars may become a status symbol for the males of the burgeoning middle classes of the emerging middle income countries of Latin America and Asia. Normalization of relations with the US will also increase demand. Conclusion? Continue to promote this sector. Also a suggestion: produce for export high quality but machine-made cigars at prices that are more affordable for a broader market. Cuba has priced itself out of the middle class cigar market. The market for rum and alcoholic beverages has been strong. Its future should also be positive again due to increasing demand in emerging countries and the United States after normalization. Cuba should have great potential in processing agricultural products. However, this depends on a thriving agricultural sector providing the raw materials. Unfortunately agriculture has been in steady decline especially since 1990. Some past exports such as citrus fruit have fallen out of the picture. This sector has been dramatically successful since 1989, and has become a major export exporter to a growing range of countries. (See the accompanying chart.) This success should continue into the future. However there are some downside risks. First, new drugs must continuously be developed because generic versions of existing drugs can be produced freely anywhere (read India and China) when patent protection runs out – if not before. This means that Cuba’s producers, like big pharmaceutical companies, face future death unless they innovate successfully. Second, some of the markets for Cuba’s pharmaceuticals are a type of ideological “sweet-heart” deal, e.g. purchases by Venezuela. These may be at risk in the longer term when the Cuba-Venezuela “special relationship” runs its course. Some of the economic activities that have declined most seriously – from 70% to 90% in different cases – are footwear, textiles, clothing, and consumer products of leather, wood, paper, metal, rubber and plastic for household use (See Chart 1.) This seems tragic when one considers that even in the 1940’s, Cuba was a major producer of a range of products such as leather and rubber shoes, cotton and rayon textiles, rubber tires, soap, paint, clothing etc. (IBRD, Report on Cuba 1950, p.130.) The collapse of much of Cuba’s light industry is of course paralleled by its corresponding collapse in Canada and the United States, with the resultant job-loss and urban decay in the rust-belt. It would be difficult for Cuba to reclaim many of these areas, given the incredible economies of scale and agglomerative economies that big countries such as China, India, and other Asian countries experience. One can imagine niche-type markets for which Cuba could have success. For example, the manufacture of some lines of specialty women’s clothing, leather footwear, and Spanish-colonial style furniture might be possibilities. Already one sees surprising crafts-level innovation in a myriad of areas, focusing on hard-currency tourist markets. These provide some hope that middle-sized enterprises could emerge and develop new products for Cuban and foreign markets. But for this to happen there would have to be the possibility that micro-enterprises could evolve into small and medium scale firms. This is still blocked – with the exception of cooperative forms of enterprises. E. Chemical and Petrochemical Products. If Cuba emerges as a significant petroleum producer or refiner of petroleum imports, it is possible that it may develop a range of petrochemical products for national and regional markets. Some production and exports are likely to emerge from the new refinery complex in Cienfuegos. However, the competition in the region from established producers in the region such as the US gulf coast, Mexico, Trinidad and Venezuela is serious so the possibilities here seem limited. Could the production or “mixing” of fertilizers – from imported potash, phosphates and nitrogen – be revived? Perhaps, though Cuba has no particular advantage in this area. Heavy industry such as an iron and steel complex, metal fabrication, wire and tube making is unlikely to emerge in a significant way in Cuba due to lack of cheap energy sources at this time, the absence of relevant raw materials, absence of significant metal using industries within Cuba, the small domestic market vis-à-vis efficient scales of production, absence of relevant skills etc. This situation could change in future if low-cost sources of energy from off-shore petroleum were to be developed. Cuba has produced some agricultural transport equipment, namely cane carts, since early colonial times. More recently, it produced heavy can harvesters such as the one in the adjoining photograph. At this time, Cuba has lost the agricultural foundation for the production of machinery and equipment for the agricultural sector, though there may be some niches where possibilities exist. Brazil seems likely to capture much of this market. There may be some niche products that could emerge however. Chances for Cuba of capturing automotive parts, batteries, rubber tires etc. seem slim and assembly is out of the question given the lack of the relevant cluster of economic activities on which these would be based and the great economies of scale in established producers elsewhere. The assembly of some electric or electronic products occurs now in a minor way and could perhaps be expanded. However, virtually all of the components would have to be imported so that domestic value added would be limited. Again, competition from abroad, notably from China will be difficult to overcome due to its huge advantages noted earlier. To revive Cuba’s manufacturing sector will be difficult. The loss of so much industrial capacity over the last quarter Century has weakened the foundation on which such a recovery could be based. There are a few promising sectors, most notably pharmaceuticals, food products, and some niche fabrication activities. But other most sub-sectors appear generally to be un-promising. Perhaps the Mariel Export Processing Zone will have some beneficial impacts. What is most needed is the establishment of an “enabling environment” of company law, liberalization of small and medium enterprise, a reasonable tax regimen for Cuban private sector enterprises and of the monetary and exchange rate systems. Some of this was recognized in the “Lineamientos.” But there is still some distance to go. Cuban-Manufactured Cane-Harvester Pausing on the Highway, November 1994; Photo by Arch Ritter. Was thuis the last Cuban-made Harvester? [i] The industrial sector has not yet been examined as in as much depth as some other economic areas such as agriculture. However, analysts at the Centro de Estudios sobre la Economia Cubana (CEEC) in Havana, notably Ricardo Torres Perez, have been turning their attention to this area. [ii] For example, Canada imports growing volumes of several varieties of mango juice from the Republic of South Africa. Cuba could share in such markets. Again, normalization with the United States in time will be of benefit in providing a large near-by market. 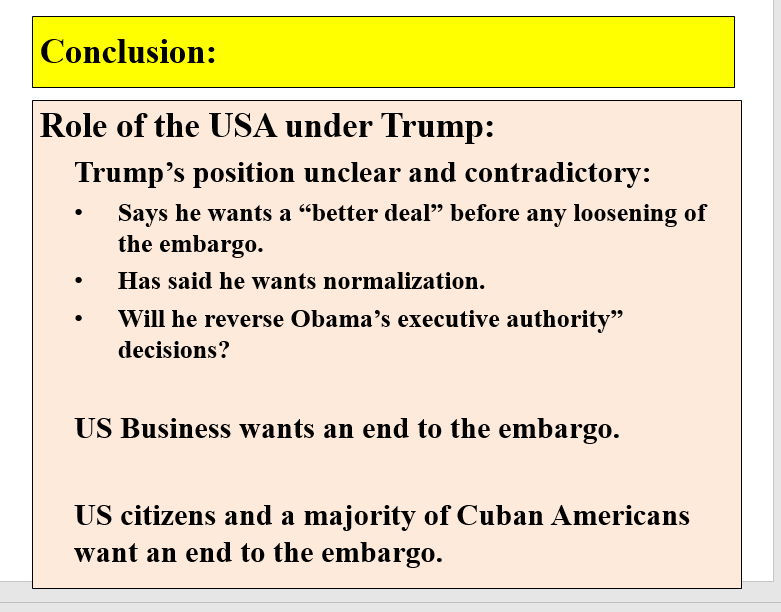 Below is a Power Point Presentation made at the “Seminar on Prospects for Cuba’s Economy” at the Bildner Center, City University of New York, on May 21, 2012. HAVANA, Sept 29 (Reuters) – Cuba is closing its once powerful Sugar Ministry in favor of a state holding company charged with pulling the sector out of a long decline, official media announced on Thursday. A government communique said the decision was made at a meeting of the Council of Ministers on Saturday. “The Council of Ministers, after an analysis of the sector, decided to close the Sugar Ministry as today it carries out no state functions,” it said. President Raul Castro was quoted as stating the ministry would be replaced by holding company. Castro said 13 provincial companies would belong to the new holding company with 61 mills, of which five would close. Plans to create the new sugar corporation and revitalize the industry by, among other things, allowing foreign investment and closing inefficient sugar mills were first reported by Reuters more than a year ago. The ministry’s demise is the last chapter in the dramatic decline of the sugar industry in a Caribbean island country where sugar was once king but now accounts for around 5 percent of foreign exchange earnings. Cuba’s fall from once being the world’s biggest sugar exporter, producing 8 million tonnes of raw sugar annually, began with the collapse of former benefactor the Soviet Union in 1991. Since then, the sector has declined relentlessly to 1.2 million tonnes. The country plans to produce 1.45 million tonnes during the harvest that gets underway in December. Former Economy Minister Marino Murillo, recently promoted to lead economic reform efforts, said last year plans called for the industry to gradually increase production to around 2.5 million tonnes by 2015. Cuba itself consumes a minimum 600,000 tonnes of sugar annually and has a 400,000 tonne toll agreement with China. 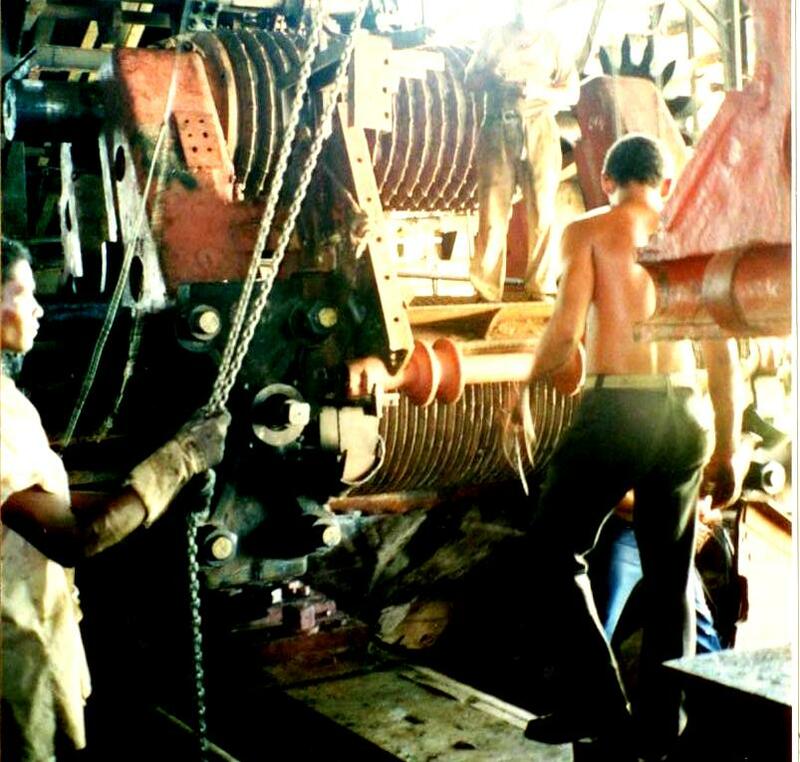 sector, Cuba shut down and dismantled 71 of 156 mills, all 71 built well before the revolution, and relegated 60 percent of sugar plantation land to other uses. More than 200,000 of the industry’s 400,000 workers were moved to other employment and many rural sugar towns were left stagnating, their closed mills marking the skyline. More mills have closed since then. Only 1.7 million acres (700,000 hectares) of the more than 5 million acres (2 million hectares) once controlled by Cuba’s sugar ministry are currently dedicated to sugar cane.